Jewish singles have quite a few options while looking for love online. 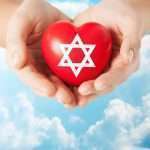 They can select their religious beliefs and those who they seek to meet in the check off box on traditional online dating sites and apps such as OkCupid or Match, or sign up for the long-time favorite JDate, where you can select just what branch of Judaism you practice, if any at all. These days, it’s easier to find a Jewish mate with some of these mobile dating apps to help fill your calendar for the eight days of Hanukkah and beyond. So grab your latkes, light some candles and get ready to start swiping. JSwipe – Now a favorite among Jewish millennials, JSwipe has users in 70 countries. JSwipe is free to join and has been called the “Tinder” for Jews. You can select which sect of Judaism you practice and just how Kosher you are. Once you’re matched with someone, there’s an 18 day countdown before your match expires, so you’re encouraged to start communicating. Eighteen, is the number for good luck in Judaism. The bonus is if you swipe left by mistake, your match still appears at the bottom of the screen. Just tap on him or her and he will return for you to review the profile again, without a charge. Jfiix – Created by JDate’s original founder, Joe Shapira, Jfiix initially launched in Israel and caught on quickly. They launched over the Jewish New Year in the U.S. and we have high hopes for this app. Singles can sign up for free and either “like” or “skip” on a potential match that is sent to them. The matches revolve on a carousel type (360) feature so you’re presented with a bouquet of potential dates to view without having to swipe left or right. You can start also chatting without becoming a mutual match. Jfiix has about 25,000 users in the U.S. and is growing by about 400 a day. The app boasts about 250,000 chat conversations every day. The biggest benefit is, it’s completely free. JCrush – To join JCrush, you can sign in with Facebook. When you see a match, you can click on the “Star” icon or swipe right as a “Crush” if you’re interested or the tap the X icon or swipe left for an “Oy Vey” for a digital thumbs down. Once you have a mutual crush, you can start communicating. There’s a “Maybe” option if you want to think about it before sending your potential match into the permanent delete file. Just maybe, your date wasn’t so great last night and you might want to revisit that standby. JDate Mobile – With the tagline of “Find Love Anywhere You Go,” JDate’s mobile app mirrors their website and makes it easy to find love on your mobile phone. The app lets you find members of the Tribe nearby and lets you chat instantly. They’ll send you your top matches, as well as let you conduct your own search. It’s the best of both worlds. If you’re already a JDate member, your mobile profile will grab the information from the desktop version. You can then edit your profile if you like on the app. Under Activity, you can see who has viewed your profile, so I recommend using this feature to reach out to someone who has viewed you to improve your chances of connecting. If you want to send a message, you must subscribe to be a premium member. Julie Spira is America’s Top Online Dating Expert and Mobile Dating Expert. 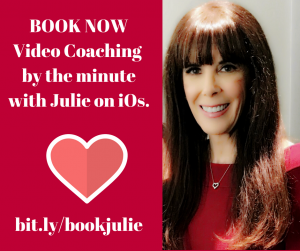 She’s been helping singles find love online for over 20 years with her Irresistible Profiles coaching programs. Follow @JulieSpira on Instagram and Twitter and sign up for the Free Weekly Flirt newsletter. It’s the party of all parties for Jewish singles in Los Angeles. Every year on Christmas Eve, JDate hosts a party that every single dater must attend. Our friends at JDate are giving us two free tickets to give away for their annual Gala. Celebrating its 20th year, the SCHMOOZ-A-PALOOZA will be held at Red O Restaurant in Beverly Hills featuring cuisine by world-renowned chef Rick Bayless. This trendy-spot features bold, dramatic decor and a sultry ambiance bound to ignite a hot party. Guests will enjoy delicious tapas, tequila tasting, all-night drink specials and amazing raffle prizes. When attendees are not busy schmoozing, eating or drinking, they can hit the dance floor and show off their moves. To enter to win two free tickets, like us at Facebook.com/CyberDatingExpert and post your comment that you?d like to win tickets to JDate’s SCHMOOZ-A-PALOOZA. Advanced tickets are $35 each or $50 for two. Grab your BFF and your favorite party dress or digs and enjoy this fun and festive holiday soiree. Why: Because your single and need to mingle. Added bonus: Our friends at Uber will be offering new clients a free ride valued at $50. Visit us at Facebook.com/CyberDatingExpert and let us know why you want to win tickets to SCHMOOZ-A-PALOOZA. The winner will be announced on Facebook on December 2nd. It’s a great honor and joy to announce that I’ve been selected as one of the Judge’s in JDate’s Top Proposal Contest. As an early adopter of Internet dating and as an Online Dating Expert with almost 20 years of writing dating profiles, I’ve helped many Jewish singles find love on JDate . Some fond memories include one couple who gave birth to the first JDate baby, and another who found love by expanding their zip code to include dating in Europe. Many couples who I’ve coached have taken my online dating advice are now happily married or are in long-term exclusive relationships. I know that cyber dating can be challenging, but there are so many Internet dating success stories that are worth sharing and I look forward to watching all of your marriage proposal videos. If you’ve met your fiance or spouse on JDate, I invite you to share a video on their Facebook page about your marriage proposal and enter their Top Proposal Contest. One lucky couple will be treated to on a 7-Day romantic trip to Breezes in the Bahamas. Isn’t it time for a second honeymoon? Details can be found on their Facebook Page. Follow @JulieSpira on Twitter and sign up for our Free Weekly Flirt. Need help with your online dating profile? Visit IrresistibleProfiles.com to learn more on how we can help you find your dream date. Join Cyber-Dating Expert Julie Spira on Saturday, December 19, 2009 as she welcomes Greg Liberman, President and Chief Operating Officer of Spark Networks, Inc. to Ask the Cyber-Dating Expert Radio Show. On the last day of Chanukah, we are featuring the number one online dating community for Jewish singles, JDate.com. JDate was founded in 1997 and currently has over 650,000 members worldwide. With more than 21,000 success stories just last year, JDate has been building the Jewish community for over a decade. Call in at 646-929-0012 at 2PM/Eastern Time, 1PM/Central Time, 11am/Pacific Time with your questions and to learn more about the online dating site,?JDate.